MESA, Az. — Dec. 5, that’s when he started, less than five weeks after the Cubs won the World Series. Jason Heyward was not messing around. 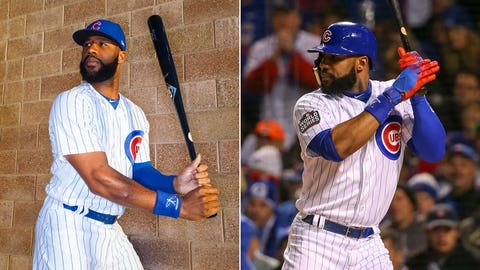 He had moved to the Phoenix area so he could be closer to the Cubs’ training facility, and focus on remaking his swing. It was the baseball equivalent of learning to walk again. And Heyward — coming off a career-worst offensive season, one of the worst offensive seasons, in fact, that any major leaguer endured in 2016 — knew that it had to be done. 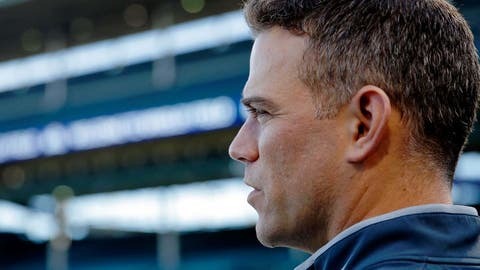 So, entering the offseason, hitting coach John Mallee implemented a multi-faceted plan, making Heyward uncomfortable so he could develop a new approach and grow more comfortable again. Heyward, in his first year after signing an eight-year, $184 million free-agent contract, batted .230 with seven home runs and a .631 OPS — all career-lows. He struggled even worse in the postseason, and manager Joe Maddon held him out of the Cubs’ starting lineup for the first three games of the World Series. Consider this video that Cubs mental skills coordinator Darnell McDonald, a former major-league outfielder, posted on his Instagram account during the offseason. Heyward, 27, did hit into some bad luck last season, batting .266 on balls in play, 34 points below the major-league average. But it wasn’t as if he was lining into out after out — his average exit velocity of 87.4 mph also was well below the league average. So, when he got back to work in December, he trained as if he was trying to earn a contract when he already had one of the 15 largest in major-league history. 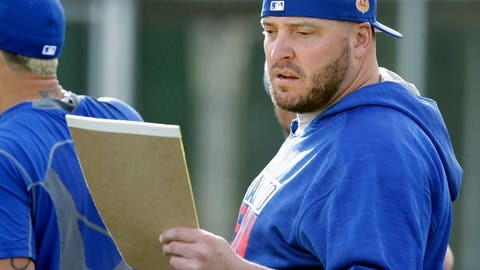 Hinske, a teammate of Heyward’s with the Braves from 2010-12, worked with him 3 to 4 days a week. McDonald was a frequent presence. Mallee visited every other week. “We had to slow everything down and start from scratch,” Mallee said. Take the chalkboard, wipe it clean, rewrite the formula, and rewrite it over and over and over again. Hitters perform various drills during the season, but in most cases they are simply tweaking, adjusting, trying to stay sharp. Sweeping changes are difficult to accomplish; teams play nearly every day and coaches work with 12 or 13 hitters at once. The offseason is the time for more drastic modification, for deeper video study, for more intense instruction. Heyward, though, said it would be easier for him to adjust now that his new muscle memory is in place, now that he knows what he was doing wrong. 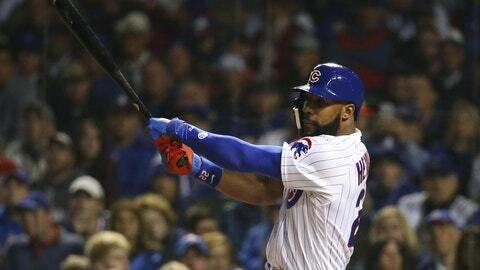 “To come out here, have this complex, have a coach with me all the time, it just made it simple,” Heyward said. “It was like, a picture perfect offseason that way. I could watch video. I could pay attention to detail. You cross everything off your list.